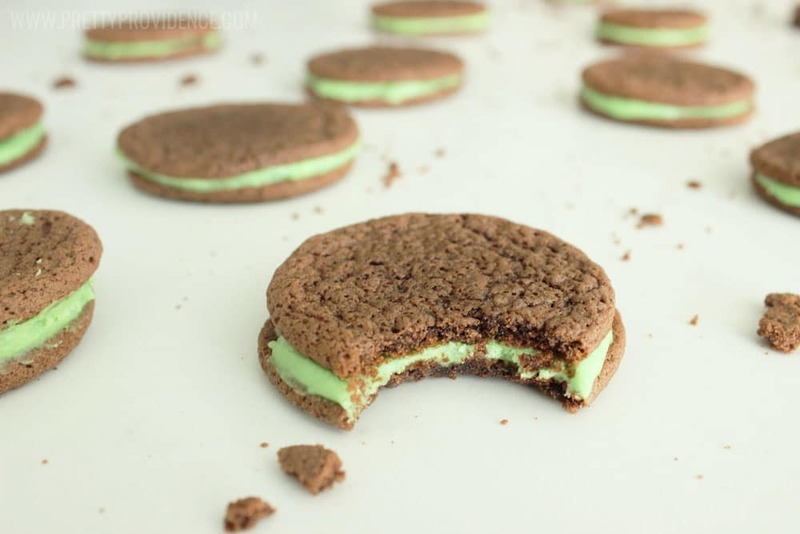 Chocolate and mint lovers unite! 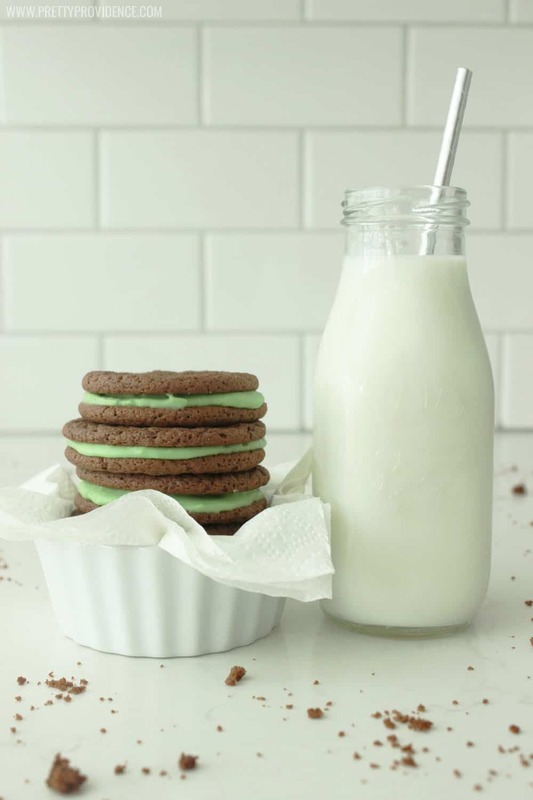 The mint and chocolate marriage is a match made in heaven (in my humble opinion) and right now they are my favorite flavor combination! 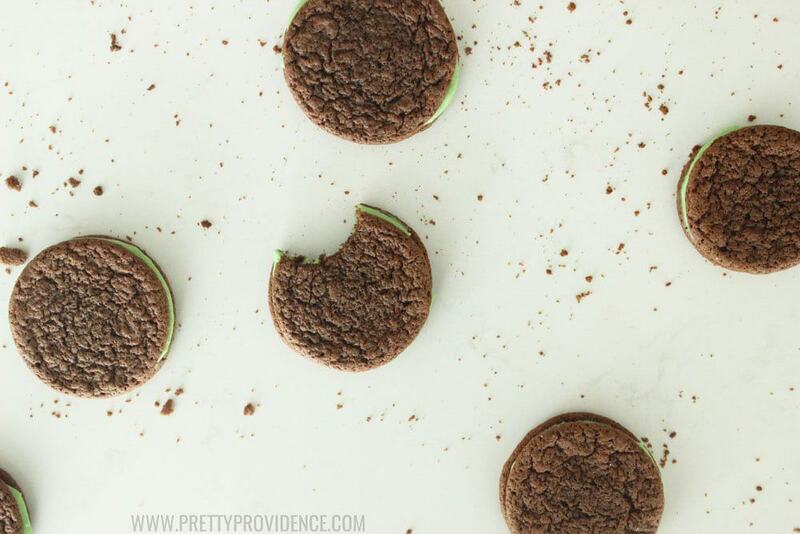 If you are a fellow mint chocolate lover these easy homemade mint oreos are going to be right up your alley! They have a similar vibe to these amazing mint chocolate brownies but they are a bit less time intensive, and they make a ton, so it’s a great recipe to bring to large gatherings or take around to friends and neighbors! You ready for the recipe? Powder Sugar about 1 lb. Mix cake mixes, beaten eggs and oil until well combined. Roll into marble sized balls (yes, they will be small) and place on lightly greased cookie sheets. Bake at 350 for 6 minutes or until tops are just starting to wrinkle. 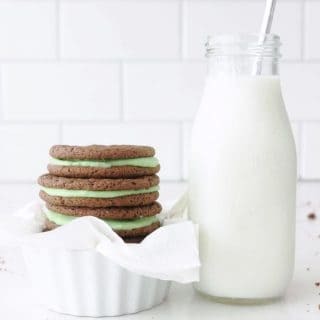 Mix butter, powdered sugar, milk, and peppermint extract until well blended. Add in food coloring until desired color is reached. 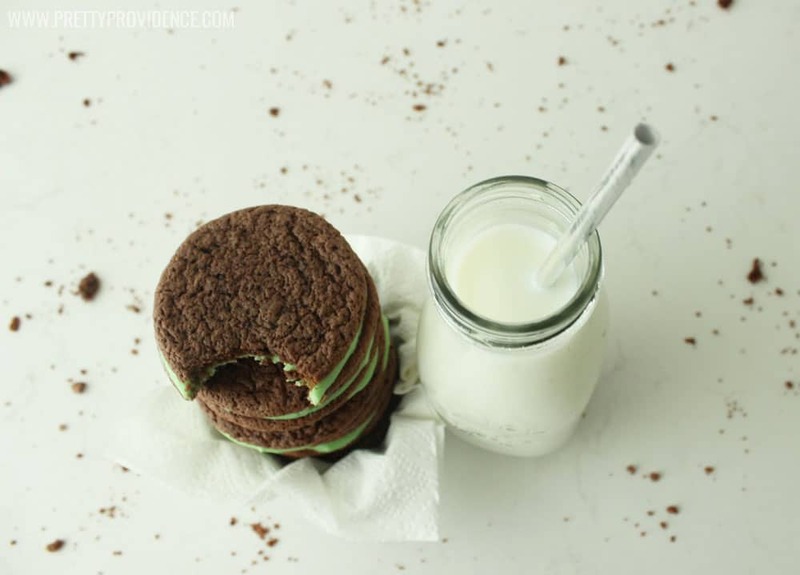 Add frosting to one side of your oreo and top it with another cookie.. enjoy! Guys. I ate so many of these. It’s sad, but I don’t even feel guilty about it. That is how you know a dessert stands the test of time… when it is worth all the calories! Also, milk might as well be on the ingredient list, because a cool glass of milk is pretty much a necessity with these babies! If you liked this recipe you will love the world’s best peanut butter cookies or our death by chocolate cake!